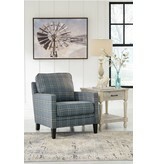 Item Description: Don’t leave your living room incomplete. 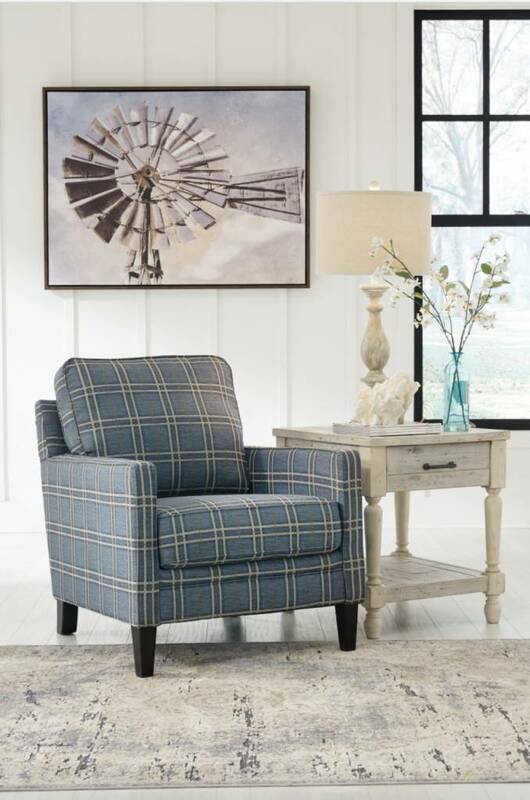 Fill the open space with the Traemore accent chair. 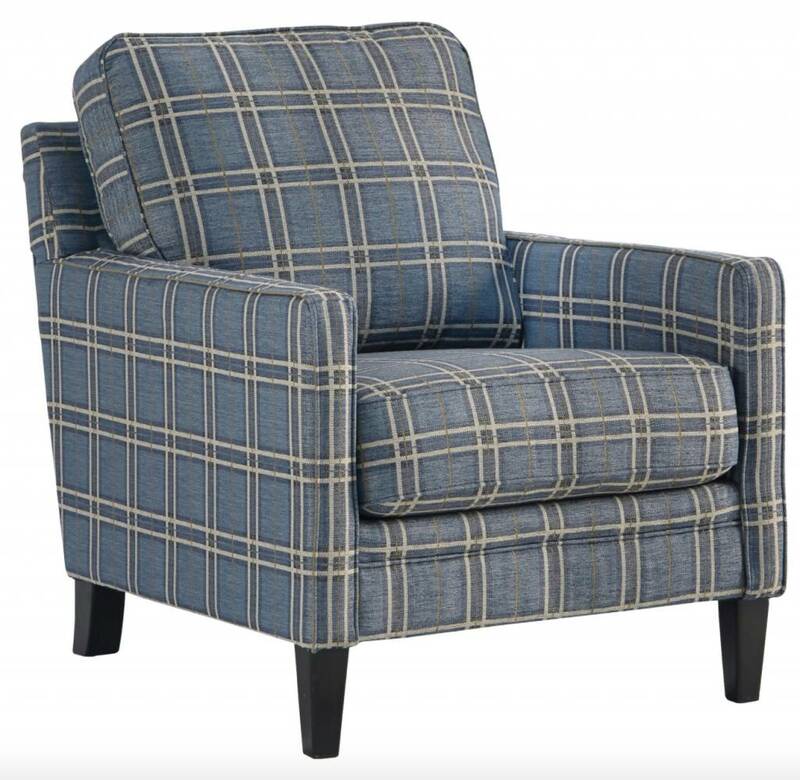 Warm blue hue on the oversized check print is a calming pop of color. Slim track arms make this traditional silhouette more casual and inviting. 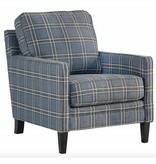 Plush back and seat cushions are an absolute pleasure to sit in. 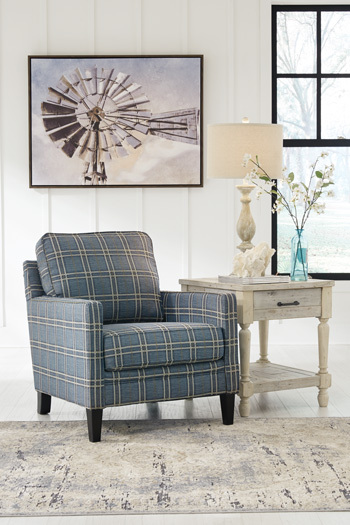 Alone or paired with other upholstery, this chair is a class act.